Our comprehensive ranges of electric locks are manufactured for perfect durability and functionality. 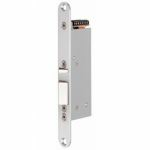 These electric locks are ideal for high traffic and high security environments. We have a fantastic variety of electric locks from Abloy available to you at a competitive prices. Our Fire locks are designed specifically for use on fire exit doors and will release under side load pressure. 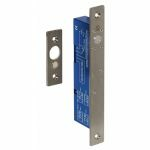 We offer a variety of features on our products for example lock operating voltages and whether the lock can be used externally. All electrical locks are mortice locks. We supply locks which can be fitted to timber, metal and UPVC doors. Whatever you require, we'll be sure you can find it at AC Leigh.